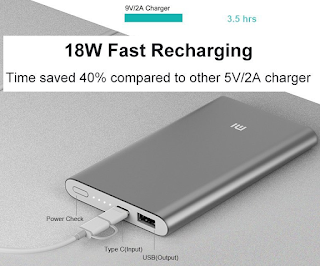 Xiaomi 10000mAh Mi Power Bank Pro High Speed Charging USB Battery Pack $13.26 (Reg $26.26) + Free Shipping. Use this to charge your devices when you are on the road. Fast charging and compatible with both USB and USB-C. Never run out of juice for your smartphone or tablet again!